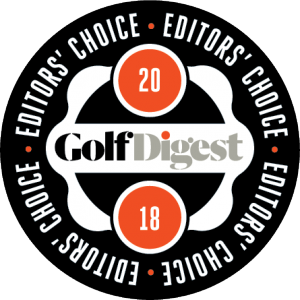 Attendees of the 2019 PGA Merchandise Show will want to stop by the LiveView booth to find out how one portable, affordable device is changing the way golfers perfect their game. Players of all levels know there can be a disconnect between what they think their body is doing and what they actually are doing. LiveView seeks to repair that disconnect with live, mirror image video. LiveView has two main components: a lightweight, portable camera and the LiveView app. The camera connects to a smart phone or tablet through the LiveView app, displaying live video directly on the screen. The system is completely wireless, and the LiveView camera fastens easily to an alignment rod. As a result, users can position the camera literally anywhere to capture the perfect visual angle of their swing. 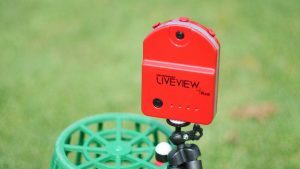 When golfers practice with LiveView, they have access to immediate kinesthetic feedback on their swing. They are able to watch themselves the way a coach would. And with the LiveView app’s options for automatic recording and instant slow motion replay, users can evaluate every swing on the molecular level. In fact, LiveView’s latest model, LiveView+Plus, boasts an impressive 60 frames-per-second video speed. This ensures no detail is lost in slow motion playback. It’s not difficult to imagine the benefits of accessing this kind of information during or immediately after a swing. Golfers can correct errors in the moment. They can finally see the bad habits their coach has been talking about. 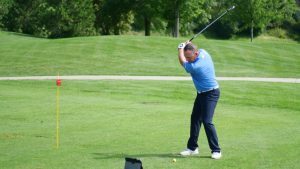 And perhaps most essential to motor learning: they can make a connection between how their swing feels and the actual motion they create. The LiveView app even features Swing Tools, enabling golfers and their coaches to draw coaching objects onto the screen. Users can check head position with circles and draw lines to help find the correct swingplane. These coaching objects can even be saved as templates, so players can continue to practice and self-evaluate even when their coach isn’t there. While nothing can ever replace the eye and insight of a golf coach, LiveView offers players a level of autonomy they’ve never had before. Finally, they can watch themselves in real time, correct errors before they turn into habits, and learn to execute proper technique with total accuracy. With LiveView, players of all levels can finally see fast, lasting improvement in their game. Make a point to stop by the LiveView booth at the 2019 PGA Merchandise Show to learn more about LiveView’s cutting-edge technology. The company is back with an even bigger booth and newer innovations. For more information on how to take part in the promotion of LiveView Golf or marketing inquiries, contact Tyler Prins at [email protected] or by phone at 605-351-4378.